When Jesus was here on earth, He worshiped on the Sabbath. 1. On what day did Jesus customarily worship? Answer: Jesus’ custom was to worship on the Sabbath. 2. But which day of history has been lost? “The seventh day is the Sabbath of the Lord your God” (Exodus 20:10). “When the Sabbath was past … very early in the morning, on the first day of the week, they came to the tomb when the sun had risen” (Mark 16:1, 2). Answer: A little detective work is necessary to answer this question. Many believe that the Sabbath is the first day of the week, Sunday, but the Bible actually says that the Sabbath is the day that comes just before the first day of the week. According to Scripture, the Sabbath is the seventh day of the week—that is, Saturday. “In the beginning God created the heavens and the earth. … And on the seventh day God ended His work which He had done, and He rested on the seventh day from all His work which He had done. Then God blessed the seventh day and sanctified it” (Genesis 1:1; 2:2, 3). Answer: God made the Sabbath at the time of Creation, when He made the world. He rested on the Sabbath and blessed and sanctified it—that is, He set it apart for a holy use. 4. What does God say about the Sabbath in the Ten Commandments? “Remember the Sabbath day, to keep it holy. Six days you shall labor and do all your work, but the seventh day is the Sabbath of the Lord your God. In it you shall do no work: you, nor your son, nor your daughter, nor your male servant, nor your female servant, nor your cattle, nor your stranger who is within your gates. For in six days the Lord made the heavens and the earth, the sea, and all that is in them, and rested the seventh day. Therefore the Lord blessed the Sabbath day and hallowed it” (Exodus 20:8–11). “Then the Lord delivered to me two tablets of stone written with the finger of God” (Deuteronomy 9:10). 5. But haven’t the Ten Commandments been changed? 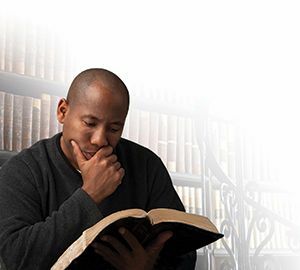 Exodus 20:1 says, “God spoke all these words, saying … [the Ten Commandments follow in verses 2–17].” God said, “My covenant I will not break, nor alter the word that has gone out of My lips” (Psalm 89:34). Jesus said, “It is easier for heaven and earth to pass away than for one tittle of the law to fail” (Luke 16:17). Answer: No, indeed! It is impossible for any of God’s moral law to change. 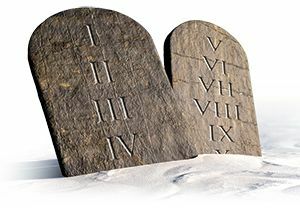 All Ten Commandments are still binding today. Just as the other nine commandments haven’t changed, neither has the fourth commandment. 6. Did the apostles keep the Sabbath on the seventh day? 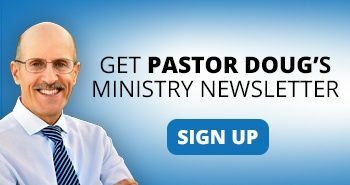 “Then Paul, as his custom was, went in to them, and for three Sabbaths reasoned with them from the Scriptures” (Acts 17:2). “Paul and his party … went into the synagogue on the Sabbath day and sat down” (Acts 13:13, 14). “On the Sabbath day we went out of the city to the riverside, where prayer was customarily made; and we sat down and spoke to the women who met there” (Acts 16:13). “[Paul] reasoned in the synagogue every Sabbath, and persuaded both Jews and Greeks” (Acts 18:4). Answer: Yes. The book of Acts makes it clear that Paul and the early church kept the Sabbath. 7. Did the Gentiles also worship on the seventh-day Sabbath? God said, “Blessed is the man … who keeps from defiling the Sabbath. 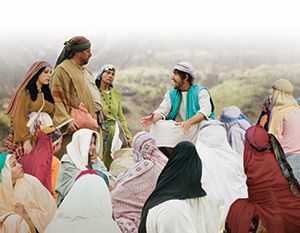 … Also the sons of the foreigner who join themselves to the Lord … everyone who keeps from defiling the Sabbath, and holds fast My covenant—even them I will bring to My holy mountain, and make them joyful in My house of prayer … for My house shall be called a house of prayer for all nations” (Isaiah 56:2, 6, 7, emphasis added). 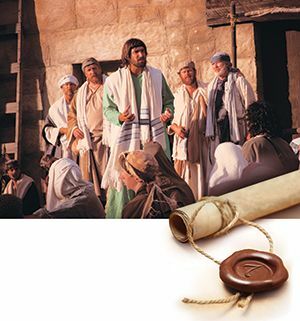 The apostles taught it: “When the Jews went out of the synagogue, the Gentiles begged that these words might be preached to them the next Sabbath. … On the next Sabbath almost the whole city came together to hear the word of God” (Acts 13:42, 44, emphasis added). Answer: The apostles in the early church not only obeyed God’s Sabbath command, but they also taught the converted Gentiles to worship on Sabbath. 8. But wasn’t the Sabbath changed to Sunday? A. God blessed the Sabbath. “The Lord blessed the Sabbath day and hallowed it” (Exodus 20:11). “God blessed the seventh day and sanctified it” (Genesis 2:3). 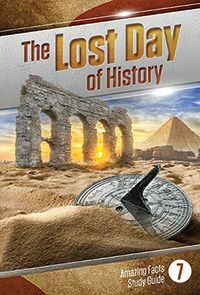 B. Christ expected His people to be still keeping the Sabbath in A.D. 70 when Jerusalem was destroyed. Knowing full well that Jerusalem would be destroyed by Rome in A.D. 70, Jesus warned His followers of that time, saying, "But pray ye that your flight be not in the winter, neither on the sabbath day." (Matthew 24:20, emphasis added). 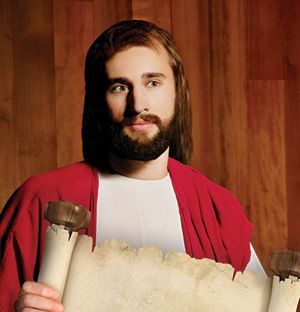 Jesus made it clear that His people would be keeping the Sabbath even 40 years after His resurrection. C. The women who came to anoint Christ’s dead body kept the Sabbath. " (Mark 15:37, 42), which is now called Good Friday. Jesus died on “the day before the Sabbath” (Mark 15:37, 42), which is often called “Good Friday.” The women prepared spices and ointments to anoint His body, then “rested on the Sabbath according to the commandment” (Luke 23:56). Only “when the Sabbath was past” (Mark 16:1) did the women come “on the first day of the week” (Mark 16:2) to continue their sad work. They then found Jesus “rose early on the first day of the week” (verse 9), commonly called “Easter Sunday.” Please note that the Sabbath “according to the commandment” was the day preceding Easter Sunday, which we now call Saturday. D. Luke, the author of Acts, doesn’t refer to any change of the day of worship. There’s no biblical record of a change. In the book of Acts, Luke says that he wrote his Gospel (the book of Luke) about “all” of Jesus’ teachings (Acts 1:1–3). But he never wrote about a change of the Sabbath. Everybody in God's eternal kingdom will keep the Sabbath holy. 9. Some people say the Sabbath will be kept in God’s new earth. Is this correct? 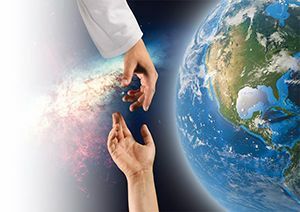 “ ‘For as the new heavens and the new earth which I will make shall remain before Me,’ says the Lord, ‘So shall your descendants and your name remain. 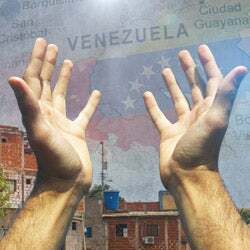 And it shall come to pass that from one New Moon to another, and from one Sabbath to another, all flesh shall come to worship before Me,’ says the Lord” (Isaiah 66:22, 23). Answer: Yes. 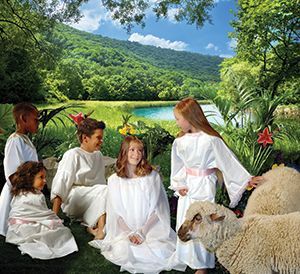 The Bible says the saved people of all ages will keep the Sabbath in the new earth. 10. But isn’t Sunday the Lord’s Day? “Call the Sabbath a delight, the holy day of the Lord” (Isaiah 58:13). “The Son of Man is Lord even of the Sabbath” (Matthew 12:8). Answer: The Bible speaks of the “Lord’s Day” in Revelation 1:10, so the Lord does have a special day. But no verse of Scripture refers to Sunday as the Lord’s Day. Rather, the Bible plainly identifies the seventh-day Sabbath as the Lord’s Day. 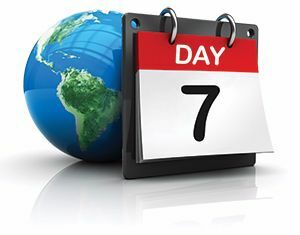 The only day the Lord has ever blessed and claimed as His own is the seventh-day Sabbath. Jesus instituted baptism--not Sunday keeping--in honor of His resurrection. 11. Shouldn’t we keep Sunday holy in honor of Christ’s resurrection? 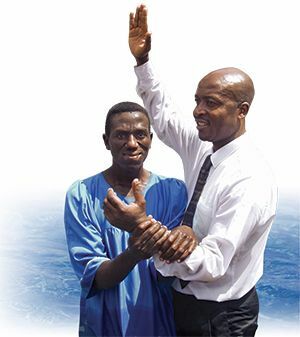 “Do you not know that as many of us as were baptized into Christ Jesus were baptized into His death? Therefore we were buried with Him through baptism into death, that just as Christ was raised from the dead by the glory of the Father, even so we also should walk in newness of life. For if we have been united together in the likeness of His death, certainly we also shall be in the likeness of His resurrection, knowing this, that our old man was crucified with Him, that the body of sin might be done away with, that we should no longer be slaves of sin” (Romans 6:3–6). Answer: No! The Bible never suggests keeping Sunday holy in honor of the resurrection or for any other reason. We honor Christ by obeying His direct commandments (John 14:15)—not by substituting man-made traditions in place of His eternal law. 12. Well, if Sunday-keeping isn’t in the Bible, whose idea was it? “He … shall intend to change times and law” (Daniel 7:25). “You have made the commandment of God of no effect by your tradition. … And in vain they worship Me, teaching as doctrines the commandments of men” (Matthew 15:6, 9). “Her priests have violated My law and profaned My holy things. … Her prophets plastered them with untempered mortar … saying, ‘Thus says the Lord God,’ when the Lord had not spoken” (Ezekiel 22:26, 28). 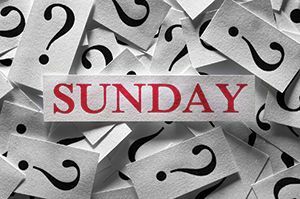 Answer: About 300 years after Jesus’ resurrection, partly because of hatred against the Jews, misguided men suggested that God’s holy day of worship be changed from Saturday to Sunday. God predicted it would happen, and it did. This error was passed on to our unsuspecting generation as fact. However, Sunday-keeping is a tradition of mere men and breaks God’s law, which commands Sabbath-keeping. Only God can make a day holy. God blessed the Sabbath, and when God blesses, no man can “reverse it” (Numbers 23:20). 13. But isn’t it dangerous to tamper with God’s law? “You shall not add to the word which I command you, nor take from it, that you may keep the commandments of the Lord your God which I command you” (Deuteronomy 4:2). “Every word of God is pure. … Do not add to His words, lest He rebuke you, and you be found a liar” (Proverbs 30:5, 6). Answer: God has forbidden people to change His law, either by deletions or additions. 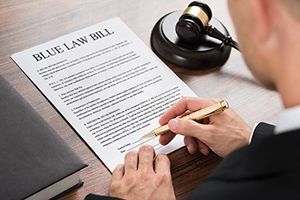 Tampering with God’s law is one of the most dangerous things a person can do, because God’s law is perfect and is designed to protect us from evil. 14. Why did God make the Sabbath anyway? “Remember the Sabbath day, to keep it holy. … For in six days the Lord made the heavens and the earth, the sea, and all that is in them, and rested the seventh day. Therefore the Lord blessed the Sabbath day and hallowed it” (Exodus 20:8, 11). B. Sign of redemption and sanctification. I am the Lord who sanctifies them” (Ezekiel 20:12). Answer: God gave the Sabbath as a twofold sign: (1) It is a sign that He created the world in six literal days, and (2) it is also a sign of God’s mighty power to redeem and sanctify people. It is a natural response for the Christian to love the seventh-day Sabbath as God’s precious sign of Creation and redemption (Exodus 31:13, 16, 17; Ezekiel 20:20). It is very disrespectful to trample upon God’s Sabbath. In Isaiah 58:13, 14, God says all who would be blessed must get their feet off His holy day. 15. 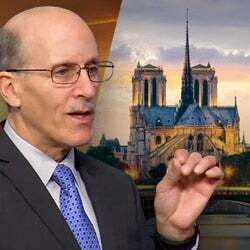 How important is keeping the Sabbath holy? “Sin is lawlessness [transgression of the law]” (1 John 3:4). “Christ also suffered for us, leaving us an example, that you should follow His steps” (1 Peter 2:21). “He became the author of eternal salvation to all who obey Him” (Hebrews 5:9). Answer: It is a matter of life and death. 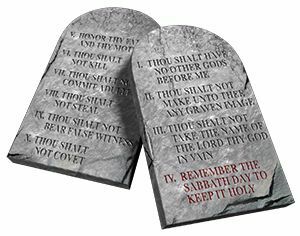 The Sabbath is protected and upheld by the fourth commandment of God’s law. 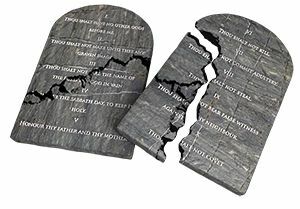 The deliberate breaking of any one of the Ten Commandments is sin. Christians will gladly follow Christ’s example of Sabbath keeping. 16. 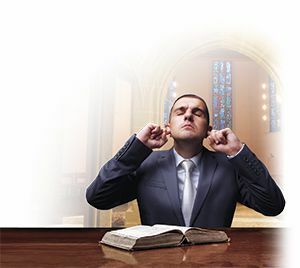 How does God feel about religious leaders ignoring the Sabbath? “Her priests have violated My law and profaned My holy things; they have not distinguished between the holy and unholy … and they have hidden their eyes from My Sabbaths, so that I am profaned among them. … Therefore I have poured out My indignation on them” (Ezekiel 22:26, 31). Answer: While there are some religious leaders who keep Sunday sacred because they don’t know any better, those who deliberately do so profane what God has called holy. In hiding their eyes from God’s true Sabbath, many religious leaders have caused others to profane it. Millions have been misled on this matter. Jesus rebuked the Pharisees for pretending to love God while making void one of the Ten Commandments by their tradition (Mark 7:7–13). 17. Does Sabbath keeping really affect people personally? “He [Jesus] said to them, ‘The Sabbath was made for man, and not man for the Sabbath’ ” (Mark 2:27). Answer: Yes! The Sabbath is a gift from God, who made it for you as a respite from the world! It’s natural that the people who love Him would want to keep His Sabbath commandment. Indeed, love without commandment-keeping is really not love at all (1 John 2:4). It’s a decision we all must make, and we cannot avoid it. The good news is that choosing to keep the Sabbath will bless you profoundly! On the Sabbath, you can feel free to cease—guilt-free!—your regular daily activities, such as work and shopping, and, instead, spend time with the Creator of the universe. Worshiping God with other believers, spending time with family, walking in nature, reading spiritually uplifting materials, and even visiting and encouraging the sick are all good ways to keep the Sabbath holy. After the stress of six days of work, God has given you the gift of the Sabbath to rest from your labors and to feed your soul. You can trust that He knows what’s best for you! 18. 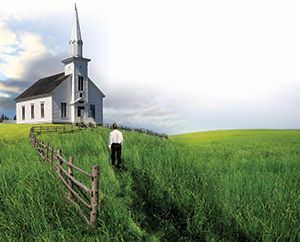 Would you like to honor God by keeping His seventh-day Sabbath holy? 1. But isn’t the Sabbath for the Jews only? No. Jesus said, “The Sabbath was made for man” (Mark 2:27). It is not for the Jews only, but for mankind—all men and women everywhere. The Jewish nation did not even exist until 2,500 years after the Sabbath was made. 2. 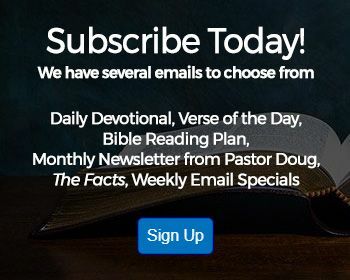 Isn’t Acts 20:7–12 proof that the disciples kept Sunday as a holy day? 3. 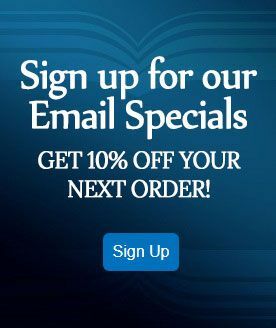 Doesn’t 1 Corinthians 16:1,2 speak of Sunday school offerings? No. There is no reference here to a public worship meeting. The money was to be laid aside privately at home. Paul was writing to ask the churches in Asia Minor to assist their poverty-stricken brethren in Jerusalem (Romans 15:26–28). These Christians all kept Sabbath holy, so Paul suggested that on Sunday morning, after the Sabbath was over, they put aside something for their needy brethren so it would be on hand when he came. It was to be done privately—in other words, at home. There is no reference here to Sunday as a holy day. 4. But hasn’t time been lost and the days of the week changed since the time of Christ? No. 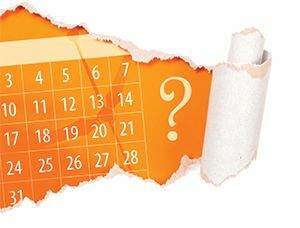 Scholars and historians agree that although the calendar has changed, the weekly seven-day cycle never has. Therefore, you can be certain that our seventh day is the same seventh day Jesus kept holy! 5. Isn’t John 20:19 the record of the disciples instituting Sunday keeping in honor of the resurrection? No. The disciples at this time did not believe that the resurrection had taken place. They had met there “for fear of the Jews.” When Jesus appeared in their midst, He rebuked them “because they did not believe those who had seen Him after He had risen” (Mark 16:14). There is no implication that they counted Sunday as a holy day. 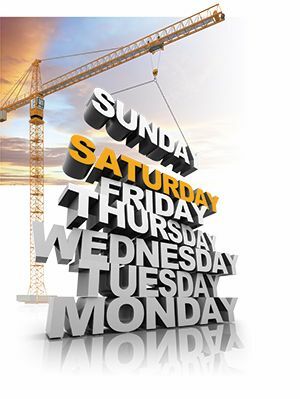 Only eight texts in the New Testament mention the first day of the week, and none of them implies that it is holy. 6. Doesn’t Colossians 2:14–17 do away with the seventh-day Sabbath? 7. According to Romans 14:5, isn’t the day we keep a matter of personal opinion? _____ The seventh-day Sabbath holy. _____ Every other day holy. _____ Sunday, the first day of the week. _____ Sabbath, the seventh day of the week. _____ Any day that we dedicate to the Lord. _____ For the Jews only. _____ By God at Creation for all men and women everywhere for all time. _____ Only for people who lived in the Old Testament times. _____ Is no longer in effect today. _____ Can never change. It is still binding today. _____ Ended at the death of Christ. _____ Observed Sunday as a holy day. _____ Taught that any day will suffice as a holy day if you are sincere. _____ Ended at the cross. _____ Will end at Jesus' second coming. _____ Will be kept in God's new eternal kingdom by the redeemed of all ages. _____ Nothing to be concerned about since Christ's death. _____ A dangerous sin because it tramples upon holy things. _____ Of no importance today. _____ Observe the Sabbath, as Jesus did. _____ Keep every other day holy. _____ Keep Sunday as a holy day. _____ Saturday, the seventh day of the week (Friday night to Saturday night). _____ Any day we dedicate to God. _____ Is an invention of men that was predicted in the Bible. _____ Is God's plan for today. _____ Originated at Christ's resurrection and was approved at Pentecost. _____ A sign of legalism. _____ Important only to the Jews. _____ God's twofold sign of Creation and redemption. 13. I am willing to follow Jesus’ example of Sabbath keeping.